Nestled on a lush palm island in the heart of the northern Okavango Delta, Shinde is an intimate, classic camp on the edge of Shinde Lagoon, which literally teems with animal and birdlife. 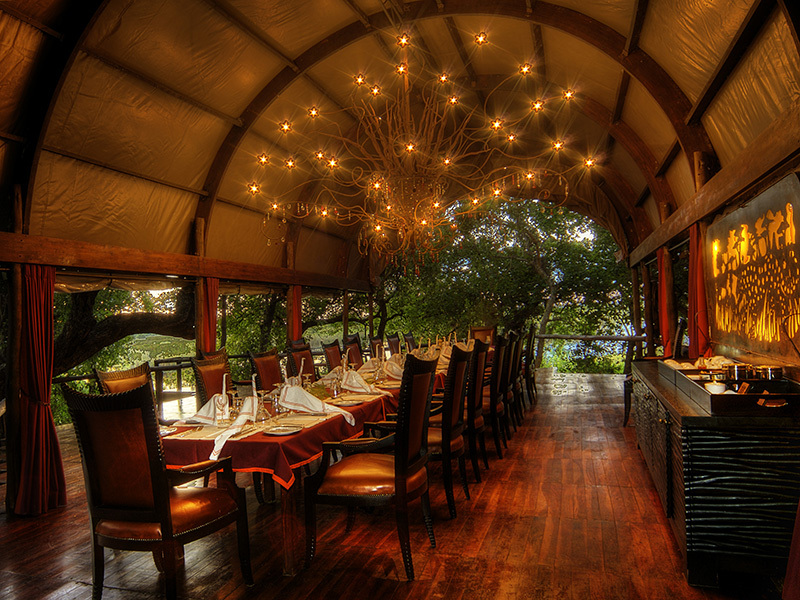 Enjoy the luxurious multi-tiered dining room and lounge under canvas, in the shade of ebony and mangosteen trees. Benefit from recently refurbished classic safari tents which have been enlarged to include huge bathrooms with walk-in showers and elegant fittings. An elegant, historically charming camp in the Delta. Shinde was refurbished in 2015. The elegance and historical charm of the iconic Shinde camp has been enhanced by enlarging the eight classic safari guest tents to incorporate a spacious bathroom with a large walk in shower and luxurious fittings. The larger bedroom with new linen and furniture in tasteful colours provides the perfect retreat. Wide sliding doors leading onto the extended front decks afford breath-taking views over the open floodplains or the mysterious waterways of the Delta. Accommodation is generally twin share on comfortable three quarter beds, however double accommodation is available on request. Shinde was refurbished in 2015. The elegance and historical charm of the iconic Shinde camp has been enhanced by enlarging the eight classic safari guest tents to incorporate a spacious bathroom with a large walk in shower and luxurious fittings. The larger bedroom with new linen and furniture in tasteful colours provides the perfect retreat. Wide sliding doors leading onto the extended front decks afford breath-taking views over the open floodplains or the mysterious waterways of the Delta. Accommodation is generally twin share on comfortable three quarter beds, however double accommodation is available on request. Courtesy of its location Shinde can offer both water and land activities year round. Motorboats or Mokoro provide a chance to experience the incredible bird, plant and reptile species found in the aquatic habitat of the Okavango Delta. 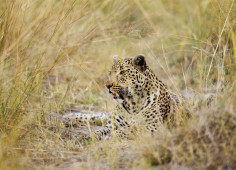 Game drives are conducted by a personal guide in comfortable, specially designed game drive vehicles. Our window seat guarantee ensures no more than four guests per vehicle when out on game drives. For the more adventurous, guided walks are also available while fishing enthusiasts will enjoy fishing for a variety of species such as tilapia and tigerfish. 1st March 2017 – 5th January 2018. 1st March 2018 – 5th January 2019. Minimum age at Shinde is 10 years throughout the year. Shinde is also a wonderful option for honeymooners. Guests are accommodated in a luxurious tent and enjoy special touches which includes a private dinner and bottle of bubbly. Honeymooners are also offered a slightly more relaxed pace than a normal safari routine! Shinde Camp is nestled on the edge of the Shinde Lagoon in the heart of the northern Okavango Delta in Botswana. This good establishment, Botswana safari camp located to the north of the Moremi Game Reserve and holds an enviable reputation for first-rate wildlife. The camp's unique main area is a raised tree house offering spectacular views of the reeded waterways. The whole area is enveloped under unusual high-set ‘wagon-style’ canvas roofs, lending a spacious feel and an atmosphere of relaxed opulence. Shinde comprises eight twin-bedded classic safari tents, each with en-suite bathrooms, hot and cold running water and flush toilet. Every possible comfort has been catered for – from generated electricity and a private viewing deck through to a handy flashlight! Each tent is strategically positioned to offer splendid views, whether across the Okavango Delta’s mysterious waterways or open grasslands. Shinde offers a diverse range of activities, courtesy of its location which affords both water and land activities year round. Motorboats or Mekoro provide a chance to experience the incredible bird, plant and reptile species found in the aquatic habitat of the Okavango Delta. Game drives are conducted by a personal guide in comfortable, specially designed game drive vehicles. For the more adventurous, guided walks are also available while fly fishing enthusiasts will enjoy fishing for a variety of species such as tilapia and tigerfish.